Yesterday (April 19), Kiernan attended a Q&A session for a screening of Be Natural: The Untold Story Of Alice Guy-Blache hosted by Laemmle’s Monica Film Center. The photos have been added to the gallery! 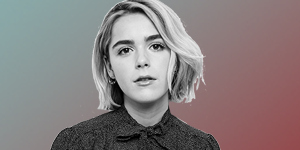 W MAGAZINE – In this Celebrity ASMR interview, actress Kiernan Shipka explores autonomous sensory meridian response with whispers and sounds. 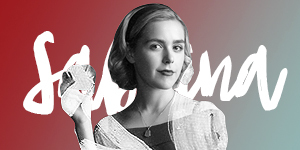 The “Chilling Adventures of Sabrina” star talks about her first role at 5-months old, genuinely loving her work – even 5am call times, one of her last speaking scenes on madmen, her admiration for her character Sabrina Spellman and what to expect in Season 2. Yesterday (April 12), Kiernan attended The Zoe Report’s 5th Annual ZOEasis in Palm Springs, California. The gallery has been updated with high quality photos. She looked super cute! 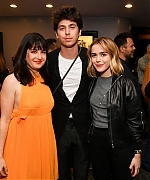 Kiernan attended the Los Angeles premiere of ‘Be Natural: The Untold Story of Alice Guy-Blaché’ Los Angeles Premiere on April 9th. The gallery has been updated with HQ photos from the event. So sorry for the delay! McGarry—who’s been darting back and forth between his cooks, peering into pans and adjusting knobs—joins us in his kitchen. He first arrived in New York from California a few years ago to run his pop-up eatery, Eureka, but started charging money to serve food out of his mother’s San Fernando Valley house when he was 13. The pair met in L.A. through a mutual friend (and some “aggressive Instagram stalking” on Shipka’s part), and have been close ever since. Shipka and McGarry begin cooking cacio e pepe, a favorite dish from their trip to Italy a few years ago. “We’re literally just going to watch water boil for a while,” McGarry says, filling a huge saucepan with water.